How to change TCP/IP or DNS or DHCP Settings in Vista ? 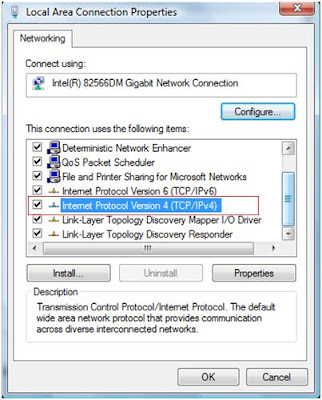 How to change network settings like IP address(Internet Protocol address)or DNS server address settings or DHCP settings etc ?. 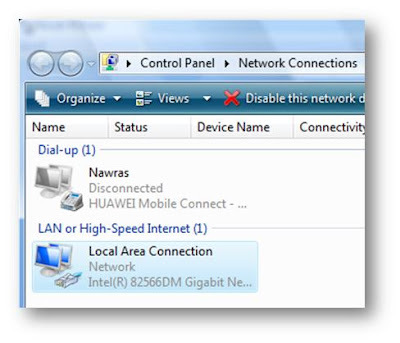 If the network icon is present in the task bar just right click Networks status icon and select "Network and Sharing Center" otherwise go to Control panel and select "Network and Sharing Center". 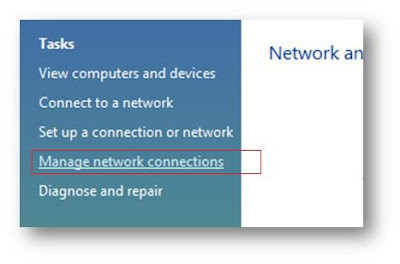 Then select "Manage network connections" from top-left side of the Network and Sharing center. "Network connections" window will open , double click "Local Area Connection" . 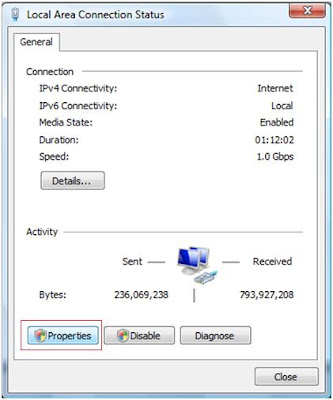 Click "Properties" of "Local Area Connections"
Double click "Internet Protocol Version 4 (TCP/IPv4)" . Finally the TCP/IP Configuration window is open. 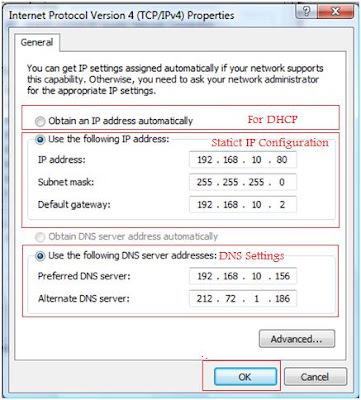 Here you can set DHCP configuration or Static IP address, Default gateway or Change or add DNS Server ip address etc. After configuring click "OK" button to save.